Chicago Named Third Most Miserable City Reviewed by Edgeville Buzz on February 11, 2009 . 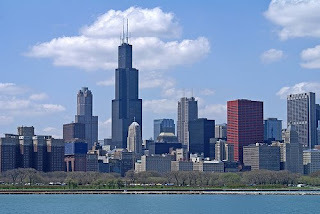 Despite having one of our own named President, beautiful parks and the lakefront, a possible Olympic bid and the recent success of the Cubs, Sox and Bears, Chicago was named the 3rd most miserable city by Forbes due to lousy weather (hey its 60 degrees in February! ), high taxes and heavy traffic. Personally I think it’s a joke that Chicago would rank among the same group as Cleveland, Flint and Detroit. Check out the article here and let us know what you think, Chicago.